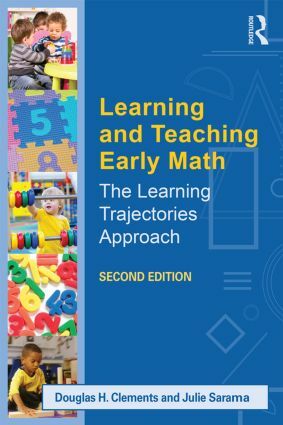 In this important book for pre- and in-service teachers, early math experts Douglas Clements and Julie Sarama show how "learning trajectories" help diagnose a child’s level of mathematical understanding and provide guidance for teaching. By focusing on the inherent delight and curiosity behind young children’s mathematical reasoning, learning trajectories ultimately make teaching more joyous. They help teachers understand the varying levels of knowledge exhibited by individual students, which in turn allows them to better meet the learning needs of all children. Using straightforward, no-nonsense language, this book summarizes the current research about how children learn mathematics, and how to build on what children already know to realize more effective teaching. This second edition of Learning and Teaching Early Math remains the definitive, research-based resource to help teachers understand the learning trajectories of early mathematics and become quintessential professionals. • Explicit connections between Learning Trajectories and the new Common Core State Standards. • New coverage of patterns and patterning. • Incorporation of hundreds of recent research studies.